Looking to get a great price on one of the newest Honda models? Leasing might be right up your alley. Instead of paying to own a vehicle, leasing gives you use of the vehicle for a set amount of time in exchange for lower payments. 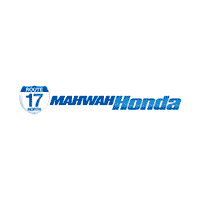 And with the Honda lease deals at Mahwah Honda, you can pay even less for the Honda of your dreams! Take a look at our offers below, and take advantage of them today! So when you’re ready to take advantage of our Honda lease deals like the Honda Civic, just contact us online, and we’ll help you schedule a test drive today!